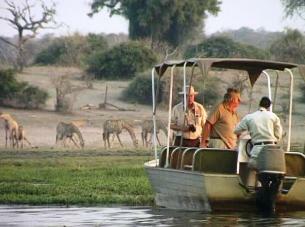 Botswana is well known for having some of the best wilderness and wildlife areas on the African continent. With a full 38 percent of its total land area devoted to national parks, reserves and wildlife management areas – for the most part unfenced, allowing animals to roam wild and free – travel through many parts of the country has the feeling of moving through an immense Nature wonderland. Botswana is a rarity in our overpopulated, over-developed world. Untamed and untameable, it is one of the last great refuges for Nature’s magnificent pageantry of life. Experience here the stunning beauty of the world’s largest intact inland Delta – the Okavango; the unimaginable vastness of the world’s second largest game reserve – the Central Kalahari Game Reserve; the isolation and other-worldliness of the Makgadikgadi – uninhabited pans the size of Portugal; and the astoundingly prolific wildlife of the Chobe National Park. 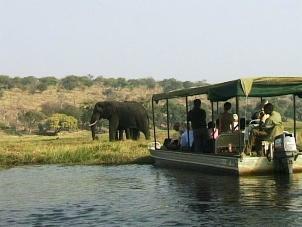 Botswana lies at the center of the Southern Africa plateau and covers an area of approximately 582 000 square km. It borders Zambia, Namibia, South Africa and Zimbabwe. Between 70 and 80 percent of the country is covered by Kalahari Desert. Here the vegetation varies from bushy, grass to bare sand. Botswana has approximately 15 000 km of roads. Recently many kilometers of road have been tarred. 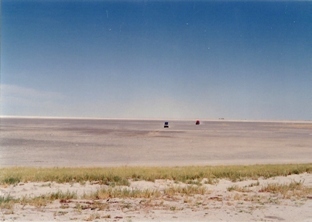 The rest are gravel, earth- or sand surfaced, and depending on the season, some of them can be in very poor condition. The residents of Botswana are known as the Batswana and their national language is Setswana. 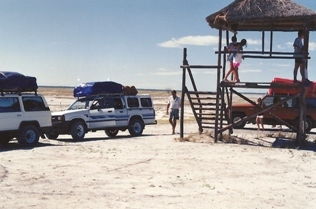 To explore the Makgadikgadi Pans, that were once the site of the largest inland lake in Southern Africa, a stopover at Nata Sanctuary is recommended. The Sanctuary is situated 170 km. north west of Francistown on the eastern tip of the Pans. This area provides visitors with an opportunity to view birds and other wildlife in a truly pristine environment. The Sanctuary covers approximately 230 square kilometers of which 55% is land and 45% is pan surface. The Sanctuary attracts a wide variety of birds. During seasons of good floods the pans are an important breeding site to large flocks of Flamingos and Pelicans. 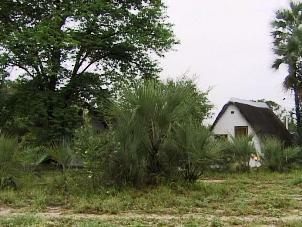 The Sanctuary provides affordable camping in the Mopani woodland near the entrance of the park. 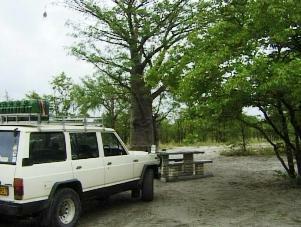 Enjoy a private campsite complete with braai place and table. Ablution consists of hot showers and flush toilets. Nata Lodge some 10 km. 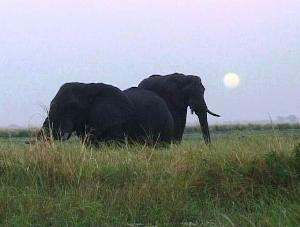 south of the town of Nata is a favorite stopover point for visitors to Moremi and Chobe. 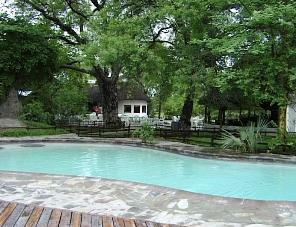 It is claimed that the real Botswana starts here at the Lodge. No wonder – the Lodge has an excellent bar next to a beautiful swimming pool. 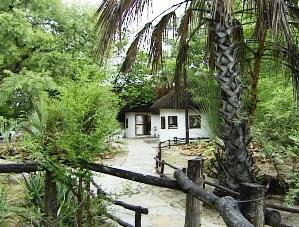 The restaurant, also under thatch, offers an a-la-carte menu and snacks are served on the terrace under mature marula trees.